Oxygen—it’s a basic necessity for animal life. But marine biologists recently discovered large numbers of fishes living in the dark depths of the Gulf of California where there is virtually no oxygen. Using an underwater robot, the scientists observed these fishes thriving in low-oxygen conditions that would be deadly to most other fish. This discovery could help scientists understand how other marine animals might cope with ongoing changes in the chemistry of the ocean. The researchers described their discovery in a recent article in the journal Ecology. The lead author of the article, Natalya Gallo, is a postdoctoral fellow at the Scripps Institution of Oceanography. 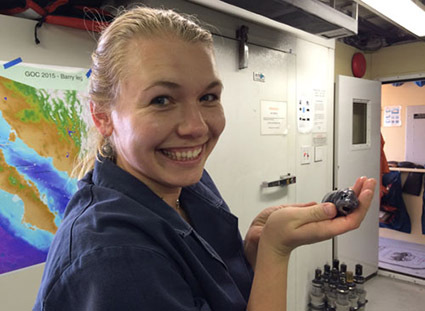 She worked closely with professor Lisa Levin and other Scripps researchers on the paper, as well as with MBARI biologist Jim Barry, who led the research cruise. In 2015, Barry, Gallo, and eight other researchers conducted a series of dives in several deep ocean basins in the Gulf of California using MBARI’s remotely operated vehicle (ROV) Doc Ricketts—a state-of-the-art underwater robot. Gallo was particularly interested in these areas because her PhD thesis focused on animals that live in very low-oxygen environments. The deep waters of the Gulf of California have some of the most extreme low-oxygen habitats in the world. In fact, instruments on the ROV showed that these fish were living in an environment where oxygen concentrations were one-tenth to one-fortieth as low as those tolerated by other low-oxygen fish. 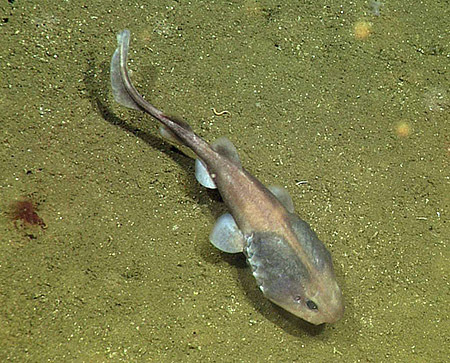 In fact, two species of fish—cusk eels and lollipop sharks—seemed to prefer these low-oxygen areas over areas where oxygen concentrations were higher. The researchers still don’t know exactly how these fish are able to survive, and even thrive, under such harsh conditions. The cat sharks have large heads with extensive gill chambers and the cusk eels have vibrant red gills, which may be particularly good at absorbing oxygen from the surrounding water. 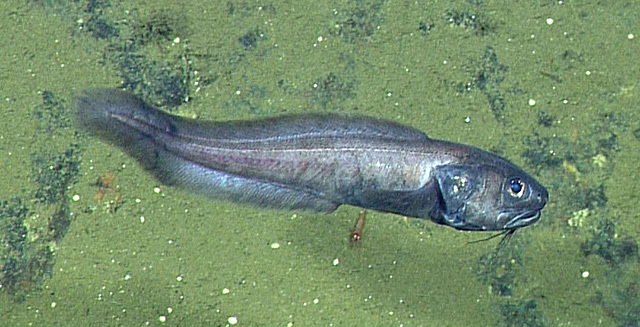 The fish are also quite small—less than 30 centimeters (one foot) long—and the cusk eels have soft flabby bodies and thin, weakly developed bones—all traits that might help them conserve energy. Why the fish congregate in these particular areas is another mystery. Barry speculates that they might be finding food or avoiding predators. In some low-oxygen areas the researchers saw snails, sea stars, and sea pens on the seafloor. 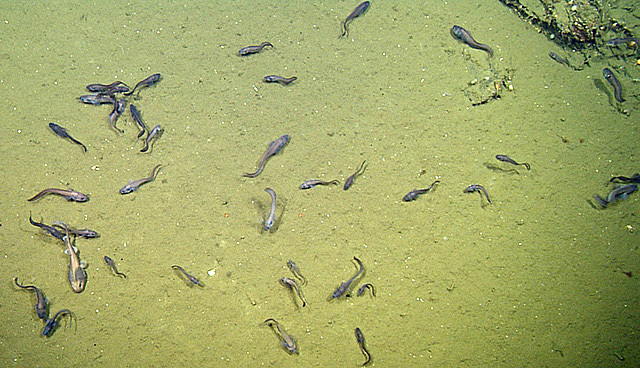 But in the lowest-oxygen areas, the muddy seafloor looked like a barren moonscape, suggesting that even small invertebrates had a hard time surviving. “We hope to go back to the Gulf soon to try and address some of these questions,” Barry said.